It’s been a while since I got a review up. I haven’t been slacking it, really. With the holidays and this stupid bronchitis I was sidelined the last week or so, but I am back in action bringing you a quick from of East India Trading Company / Gurkha’s Rogue. The Good Stuff: Rogue is the third release from Gurkha’s newest “division” named the East India Trading Company. While East India Trading Company operates under Gurkha, it is said to be it’s own entity. 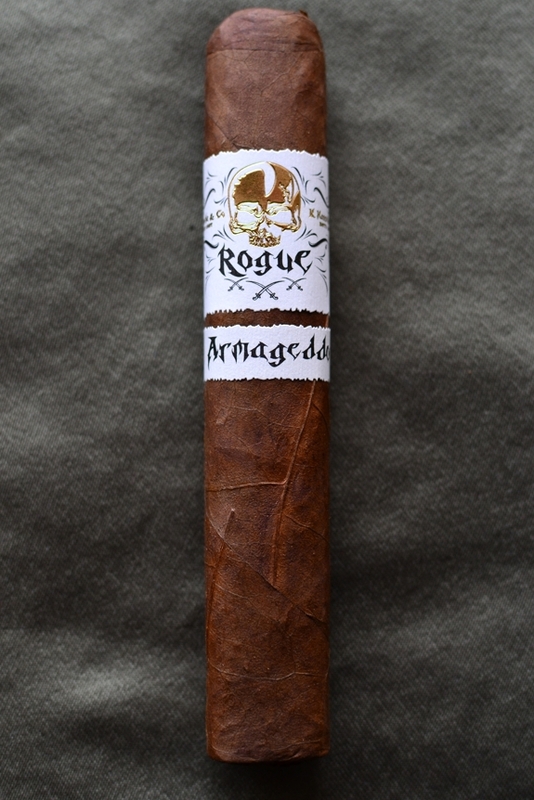 The Rogue is composed with a Ecuadorian Habano wrapper, and “rare”, unnamed Ecuadorian binder wrapped around a 3 year old, all ligero blend of Nicaraguan, Dominican, and Honduran filler tobaccos. The Rogue is offered in 5 different sizes: The Armageddon ( 6 x 66 ), the Bamboozle (6 x 60 ), the Rascal ( 5.5 x 46 ), the Ruthless ( 6 x 54 ), and the Tyrant ( 5 x 52 ). All of which are soft-box pressed with an unfinished foot. They come packaged in boxes of 20 and range from $9.99 – $5.99 a stick. Gurkha graciously sent me over a few of the Armageddon for review. 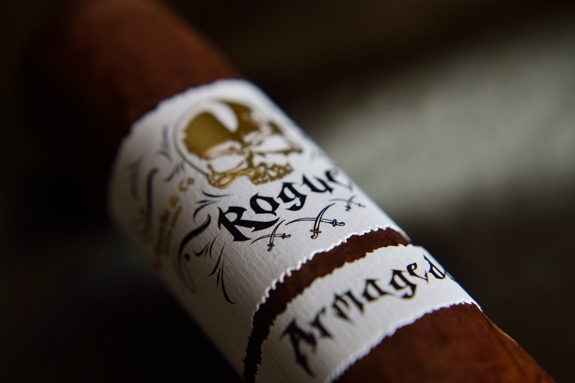 Prelight: The Rogue is a beautiful cigar. The wrapper is just gorgeous sporting a consistently medium/brown, oily, silky, wrapper. This thing just wants to slide out of your hands. The Rogue sports a beautiful un-finished foot and a nice, round double cap. 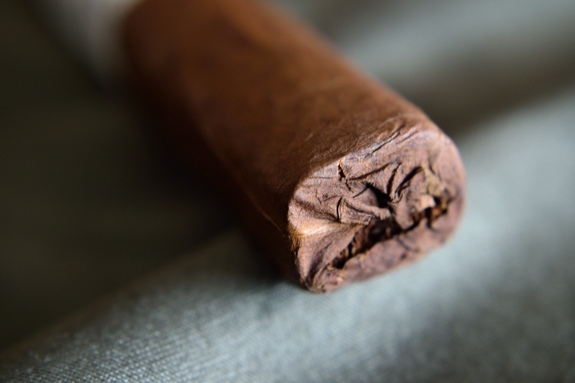 While the Rogue seems to be packed pretty tight the foot of the cigar has a bit of sponginess to it and that wrapper feels pretty thin and delicate. The Rogue if polished off with a rustic looking white, double band with the words “Rogue” and “Armageddon” on it in black ink with a gold metallic skull and a few of the Gurkha crossed blades we see on just about all of Gurkha’s products. Draw/Burn: The cap cut very clean and easy using my double bladed Palio cutter. The Rogue started right up using my single flame butane torch. Despite having an un-finished foot the Rogue burned razor sharp and incredibly even the entire time. The cigar never required any attention from my lighter after the first light. The ash was a very tight compacted medium gray ash well held on rather well. The draw was just perfect. I am really not a fan of large ring gauges at all, but even this 66 fit comfortably in my mouth. I am assuming the soft box-press had something to do what that. Each little puff kicked out a ton of thick, white smoke. Even with the larger ring gauge I found no issues getting the draw I wanted on the first or second puff. Flavors: The Rogue started out with a lot of black pepper. Given the amount of ligero in the cigar I was surprised with how quickly the pepper worked itself out of the equation. I was left with some soft woodsy/leathery flavors, a bit of spice and a whole ton of cashew notes, probably the boldest cashew flavors I have ever picked up in a cigar. As I smoked the cigar more the woodsy flavors dropped out and a bit of creamed coffee snuck into the mix. After about the halfway point I noticed a really strong chalkiness began to sneak in. The chalkiness became stronger as I smoked through the second half and never really faded out, in fact it really muted out some of the better flavors that were buried underneath. Thoughts: The East India Trading/Gurkha Rogue started out with great promise, strong flavors, and a pretty strong experience. The chalkiness that took over each of the samples I smoked really put a damper on the experience. I would attribute the chalkiness to the large amount of ligero and the huge ring gauge. It probably didn’t leave a lot of room for the wrapper and binder to really expose itself in the experience. That being said, I would really like to try this blend in a smaller ring gauge. The flavors were great, and if the robusto or corona could pump out more of the core flavors I think this could be a great cigar. On a side note, on two of the samples I smoked the band on the cigar contained too much glue. Since the wrapper is pretty delicate this glue tore a few little patches off of one, and almost completely destroyed another. 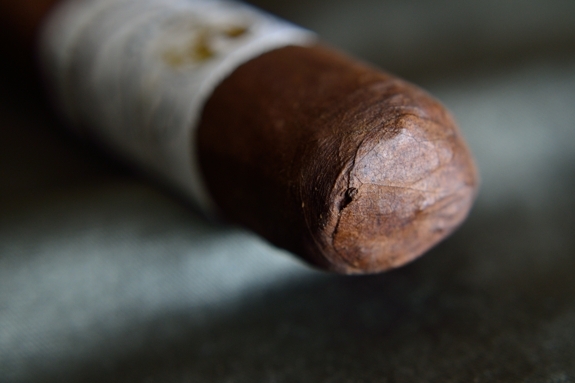 Gotta hate smoking through a cigar only to have the band destroy it before you can nub it. I’m glad you’re feeling better, man. It seems like just about every Gurkha I’ve smoked has had a problem with the over-glued bands and fading out of flavor after the first half or so. That 66rg is just too much for me, but if I see the corona around, I may give it a shot.